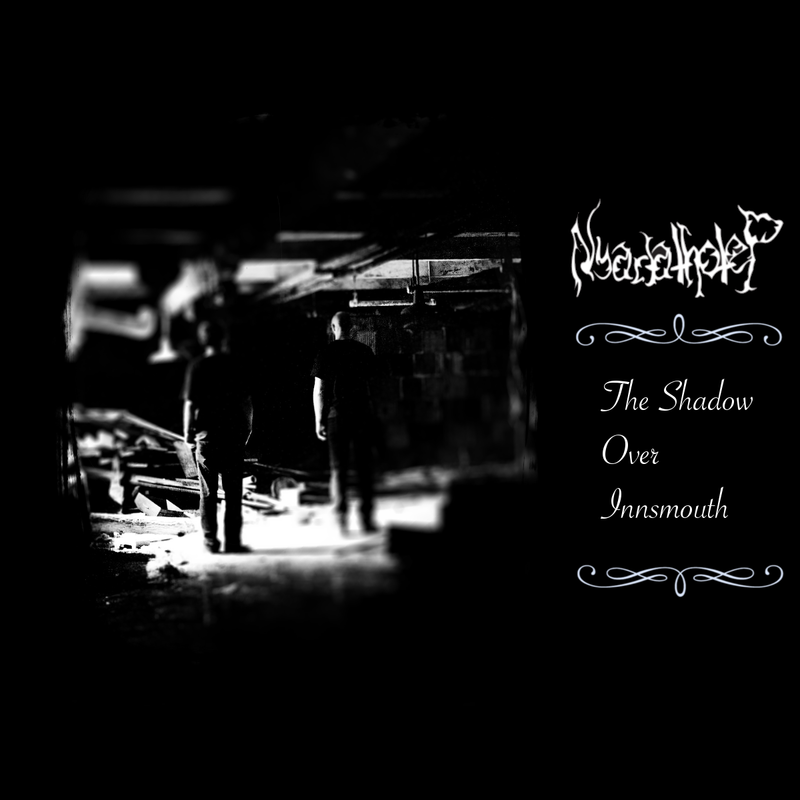 Born out of a love for H.P Lovecraft and black metal, Nyarlathotep perfectly blends mystique and metal together to create a truly haunting experience on their first full length release. Back in 2008, the band (as a 3 piece, at the time) released its debut EP entitled The End Is Always Near and then drifted into silence. It wasn’t until 2013 that the two remaining members collaborated and came up with the concept for a full length record based off of the story of H.P. Lovecraft’s, The Shadow Over Innsmouth. What came to be from that collaboration is an extremely raw and intense concept album that can be either hit or miss for the listener. Musically, the composition is amazing and the seamless transitions help keep you immersed in the story. The piano intro is a beautiful way to introduce one into the world of Innsmouth and set the mood for the next 55 minutes. Nyarlathotep use some non-traditional instruments in their music, like the pan flute, to make stand out from other raw black metal releases. Elements of doom metal were also widely used within this release, giving some tracks a melancholic feel to them. Within the later tracks on TSOI, a lot of weird and scary samples are used to heighten the sense of danger while listening. This is extremely prevalent at the end of the title track where it sounds like nails running across a chalkboard in an old abandoned school house, or at least that’s the image I got from it! On the other hand, the vocals are extremely raw and mono-toned. They were recorded on a cell phone, which could attribute to the way they sound. Adding these distorted vocals into a mix of already raw music creates a lot of static noise within the tracks. That static sometimes distracts from the listening experience and due to the album being a seamless work of art that is one thing that you do not want to happen. If that was the sound that they were going for, they hit the nail on the head! Overall, I am very impressed with The Shadow Over Innsmouth. I love the raw atmosphere surrounding the whole album and the sense that there is danger at every corner. However, I would like to see how the album would sound with a cleaner mix and less distorted vocals. With just a few minor touch up’s here and there, Nyarlathotep could really deliver a very solid concept album and up their game even more than they did with this album.